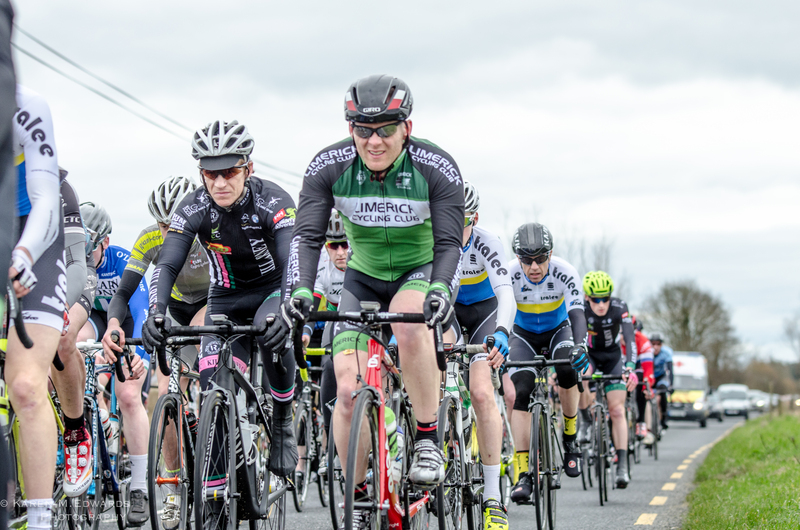 Folks Club will be back winter training Saturday October 05 for light training spin around 60km or so to start off with. It was a successful day for the club today as the strong winds and constant rain only strengthened resolve. 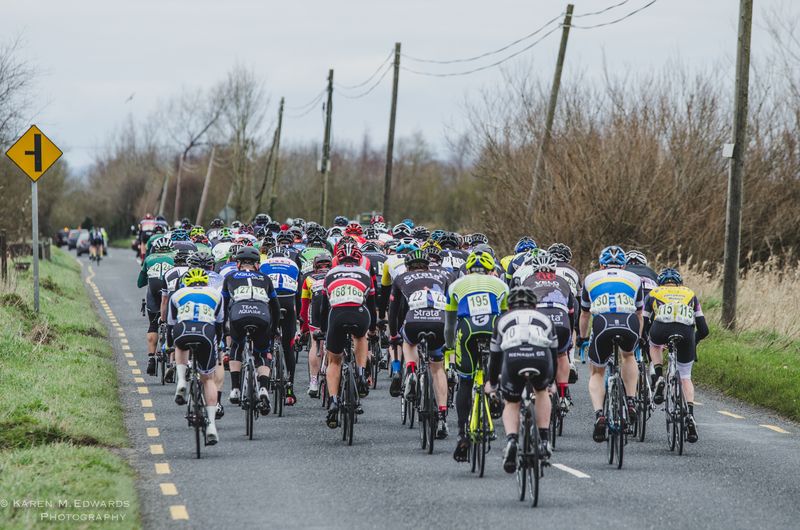 Colm Dillon forced his way into the break of the day to come a very strong 5th on stage 1 which was a lumpy but fast 90km. 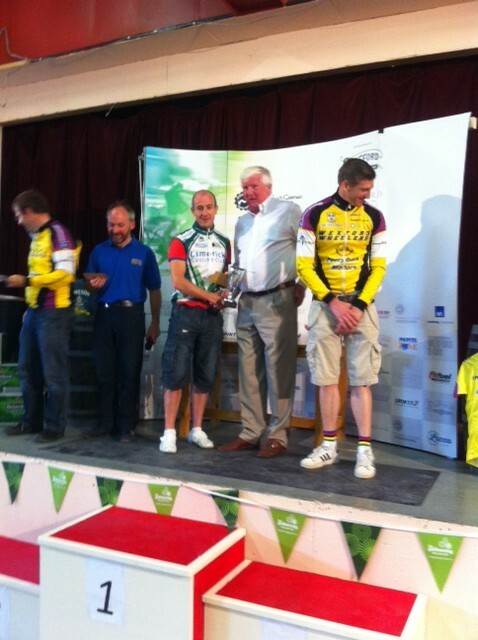 Brian Hart came home in 11th place having joined a chase group which edged off the front with 10k to go. He came in just behind good friend of the club Alan Loftus. Dave Bourke finished to the fore of the remaining peloton, which had latched on to the second chase group on the finish line. 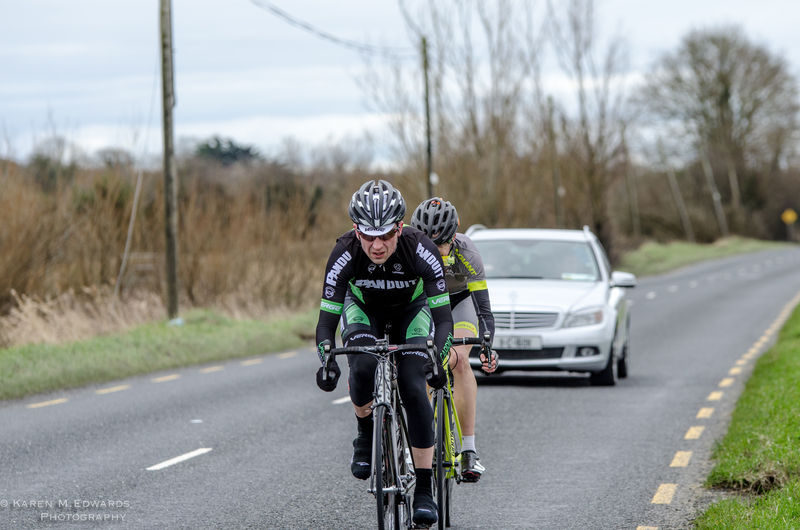 In the A3 race, Anthony Gahan finished at the front of the bunch. While attacks were rampant, nothing stuck, so Anthony and indeed all of us had GC on our minds going into the evenings hill climb TT, but not before a post stage massage by local masseur Craig Hore in the Community Centre that was race HQ for the two days. 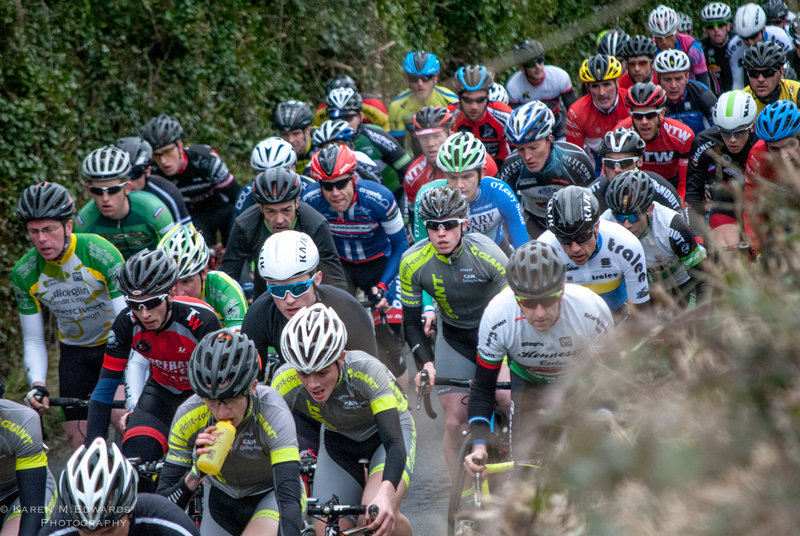 The Hill climb consisted of a 3.6km climb in 3 definite stages, it was steep at the start and even steeper at the end, but there was a flat km in the middle into a strong headwind. Unfortunately there were no GC places posted after stage 2, but after posting a superb time of 8:48, Gahan would have been highly perched. In the A2/3 race Hart limited his losses, coming home in 36th place. 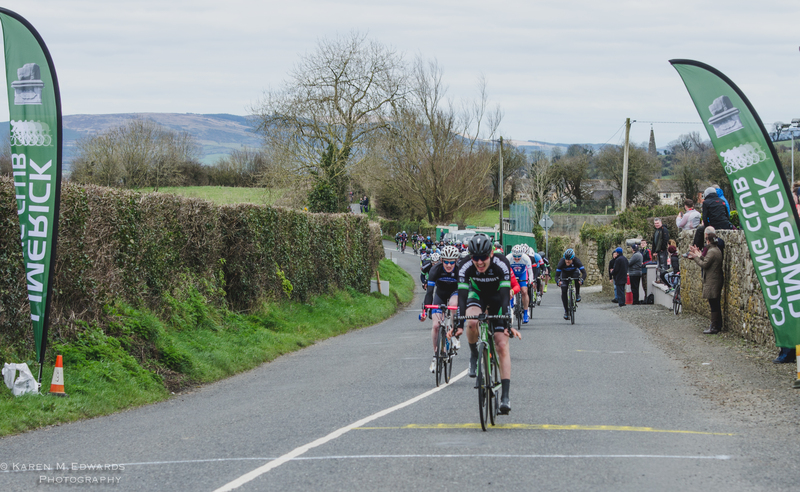 But Colm Dillon placed himself in joined 4th with a superb effort which we thought initially was going to be good enough for Yellow. Time then for grub at the hotel, a review of the days proceedings and a chat about the tough assignment ahead on day 2. Having dried off the gear, we were glad to see the Sunny Southeast live up to its reputation. Porridge and poached eggs, fill the bottles, check-out of the hotel, load the car and get to the start for the last time. The omens were getting shaky. Within a minute Bourke had been stung by a wasp, flatted on the warm up, and then one other rider arriving lost his car-roof mounted bike to an Orica Green Edge effort with the Finish Line Gantry…and it started to rain. With two minutes to spare Bourke was back on the start line and ready to go, heart rate suitably raised. If yesterday was lumpy, today was lumpy with extra portions for good measure. There were two spikes on the second of two loops of each of three 37 km laps. The second of these saw an early break attempt with Hart as part instigator. Short enough lived, but long enough to know that the legs were in rude health. Bide the time. 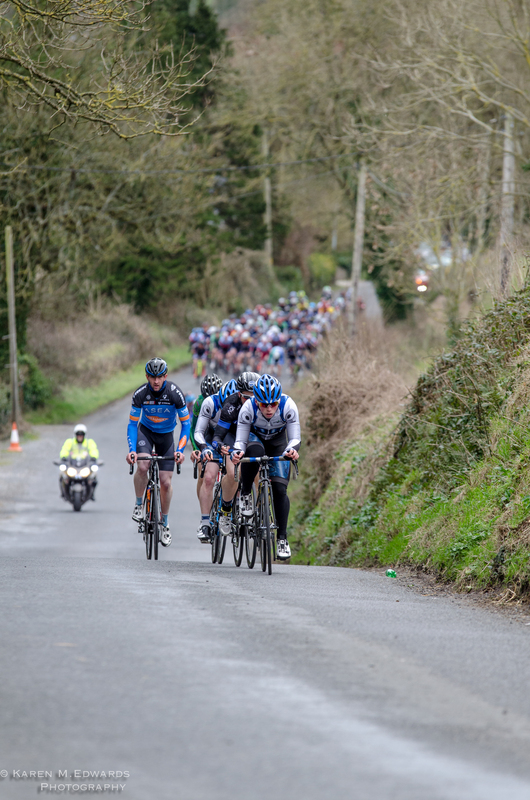 Early in lap 3 the attacks volleyed with half a dozen up the road with 50 seconds. Brian Hart chased with one other and two passengers to establish contact with the leaders. As they came onto the main road there were two serious drags, which subtracted 6 from the 10, and not long more before one more faded. On then to the testing second loop of the last lap. 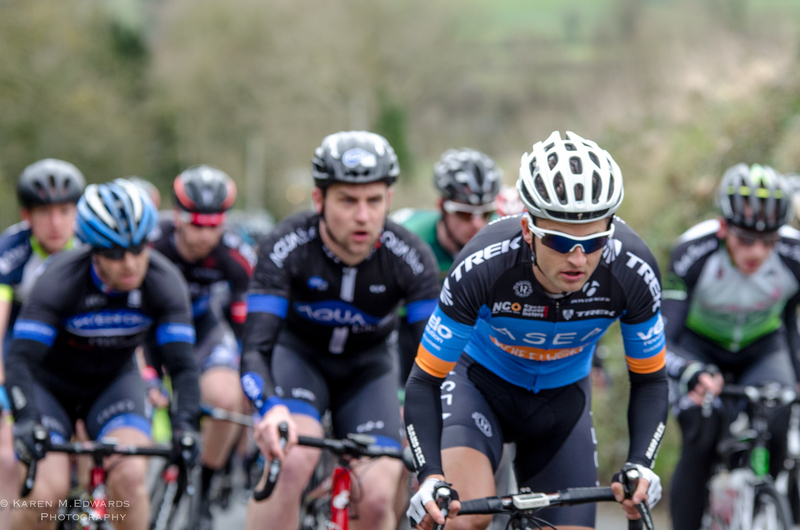 The remaining three which included Aqua Blues John McCarthy worked hard and together they put over two minutes into the main bunch. The stage was theirs to decide and the overall GC it seemed by now was also being redefined. Hart had the most telling kick in the end and he duly took the stage while McCarthy had done enough on the hill climb the night before to land Yellow, Hart one place behind. Each time Hart has been promoted up a category, it has come with a win. 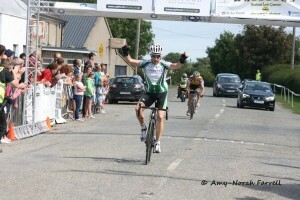 Anthony Gahan came home with a bunch finish to round off a great first A4 stage race for himself. 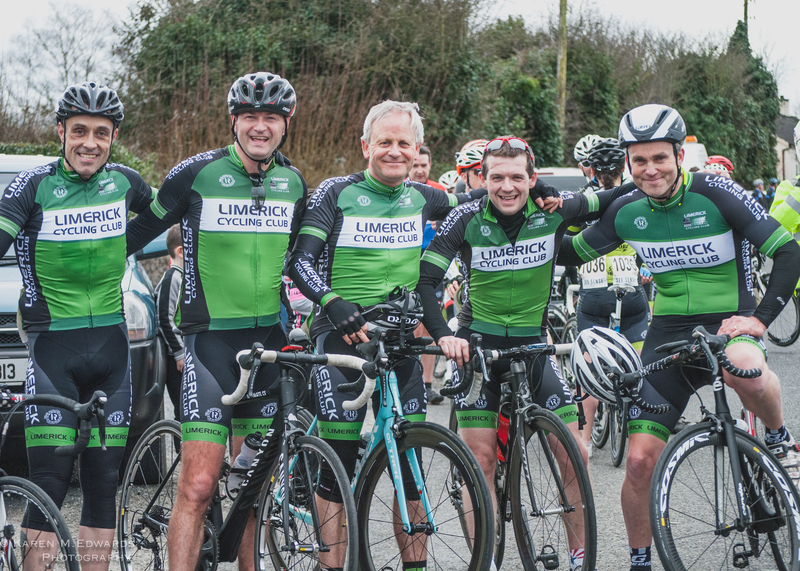 As the season draws to a close, the number of riders who have registered a win this season (Shane O’Hara, Sean Yelverton, Stephen Shanahan, Bobby Coleman and Brian Hart) has surely underpinned Limerick CC’s pedigree as a racing club. 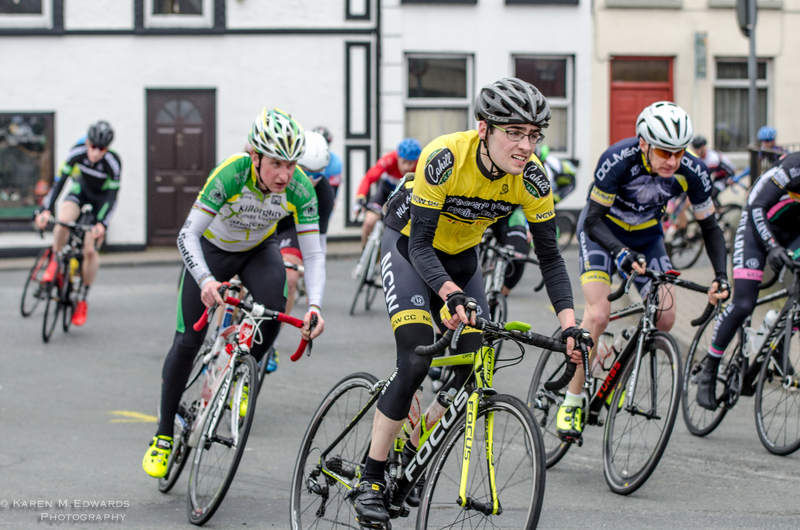 All aspirant underage, junior and A4 riders can take encouragement from the fact that Brian Hart was racing A4 only a few years ago. 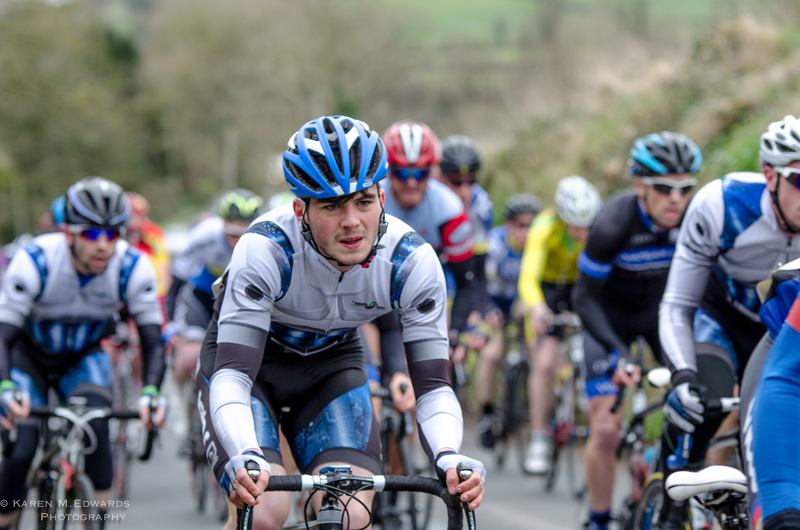 The last two weeks have seen some incredibly strong results with wins and podiums at all levels and so it was again this week with Harts win coinciding with Stephen Shanahan’s excellent Silver Medal (as a first year Junior) at the National Junior Championships in Omagh. 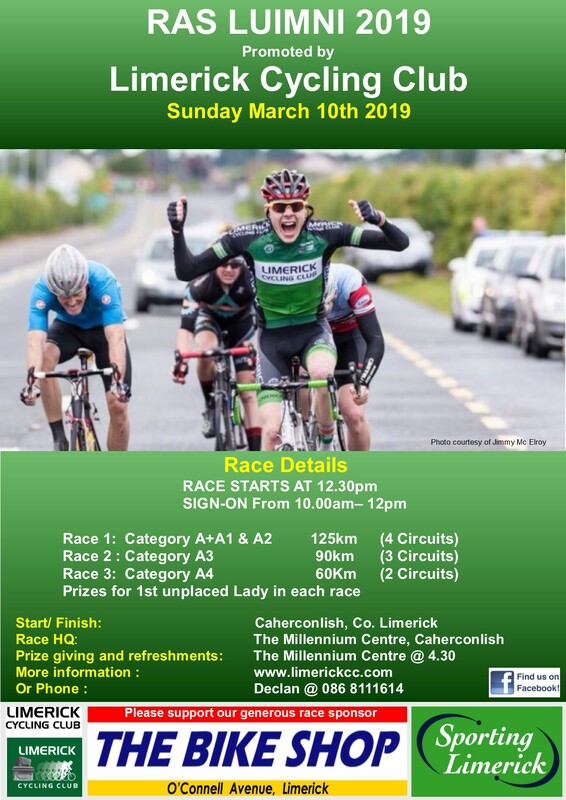 The racing season is almost over but continued success to all as we have two local races coming up, namely the Charleville 2-Day and Rás Cill Mocheallóg. Keep it lit lads! 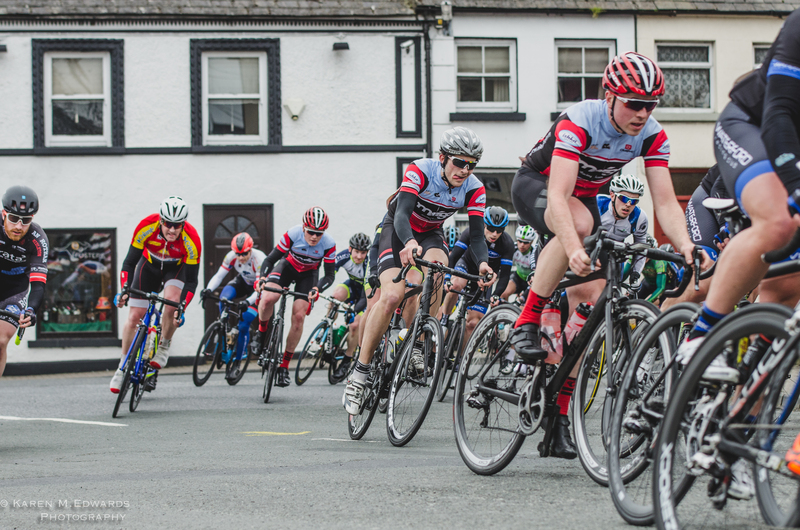 The club carries race form at all levels into this weekend. 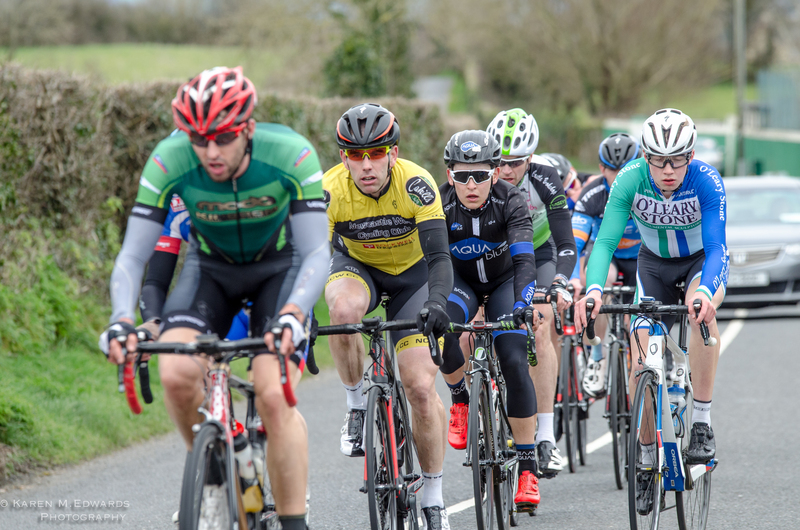 After a great weekend of racing at the Dan O’Donovan Memorial in Fermoy last week, the club can take away success at A4 and A3 levels with maiden victories respectively at those levels for Bobby Coleman and Stephen Shanahan. Sean Yelverton steps up on so many podiums he doesn’t even know if he is walking up the stairs at this stage, and so it was again for him in Fermoy where he placed a fine 3rd, how consistent is this young man?! 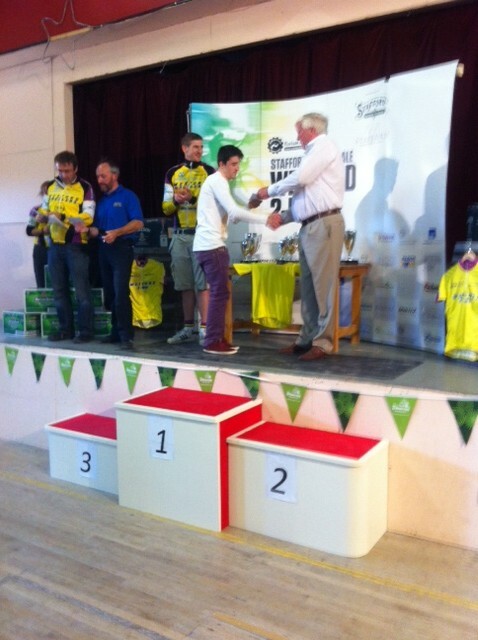 More underage success for Evan O’Donnell placing a fine 6th in the U14 race. And of course Brian Hart rounded off the day for Limerick CC with a creditable 2nd unplaced A2 in the A1/A2 race. 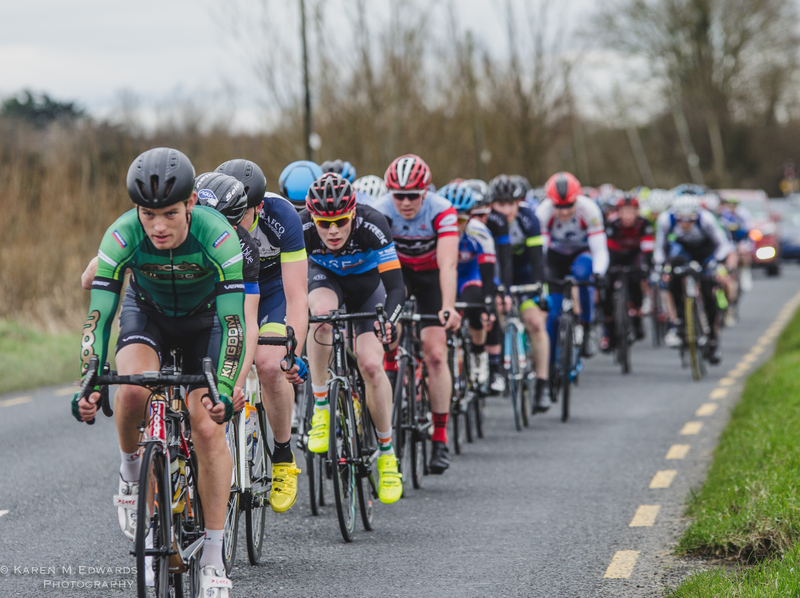 previously the same week, Jurgen Simpson was in fine form at the JJ Kinahan Memorial race where he just lost his position on the last sequence of bends narrowly missing out on what would have been his first points finish. 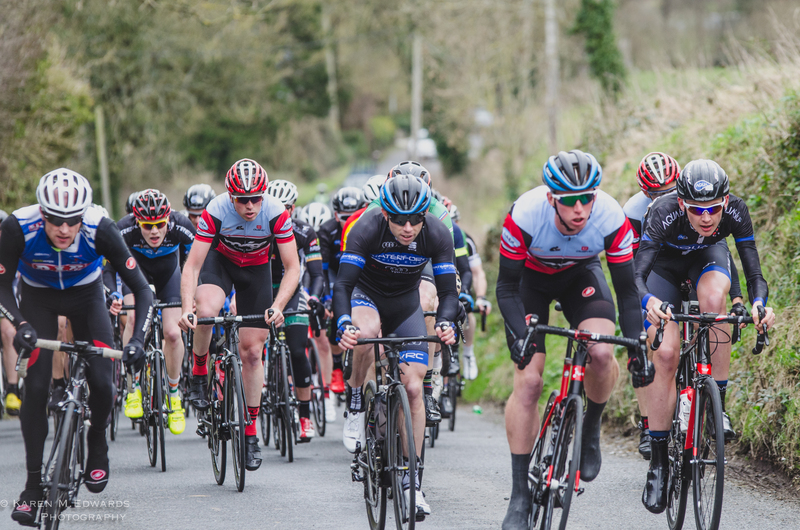 Every success then to the two squads competing this week with our all conquering Junior squad of Mark, Stephen and Henry going to Omagh for the National Champs. 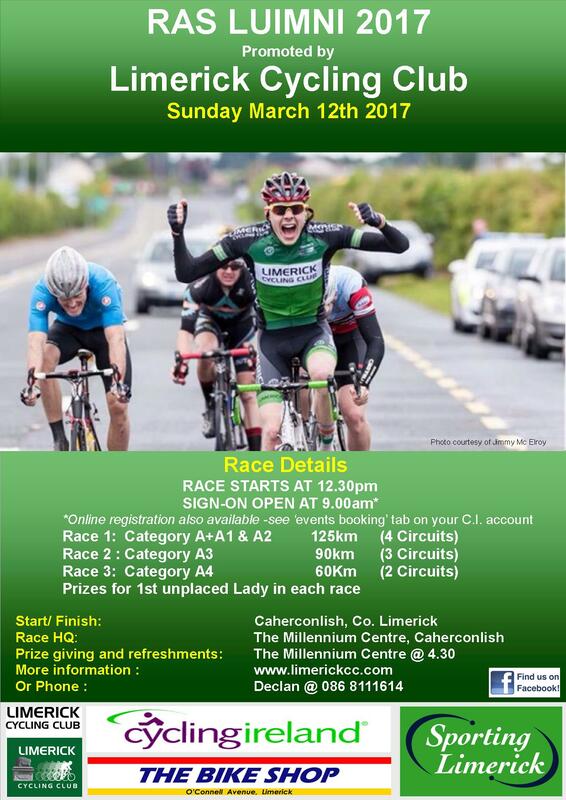 The returning Wexford 2-Day sees Anthony Gahan compete in the A4 race, and Brian Hart, Colm Dillon and Dave Bourke in the A2/3 race. 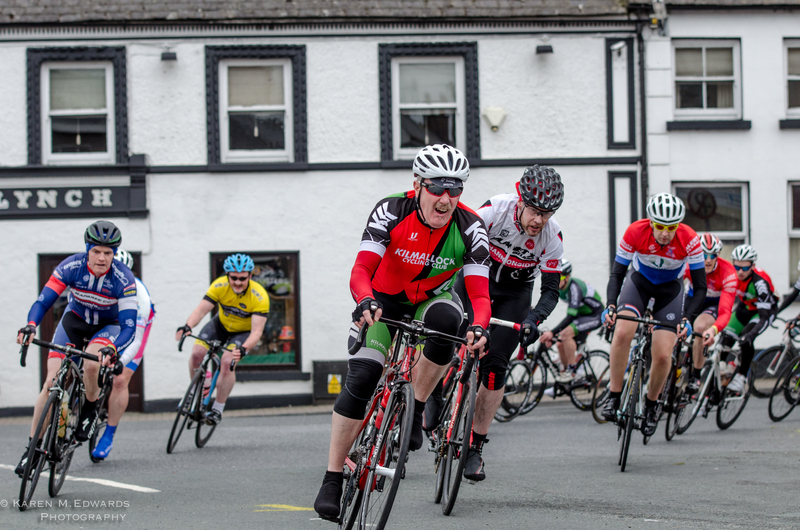 Best of luck all, hopefully we’ll be regaling tales of glory at Tuesday’s league race. We hope to do updates over the weekend, if your racing and we have not mentioned you above, please drop Dave Bourke a line at the club face book page. 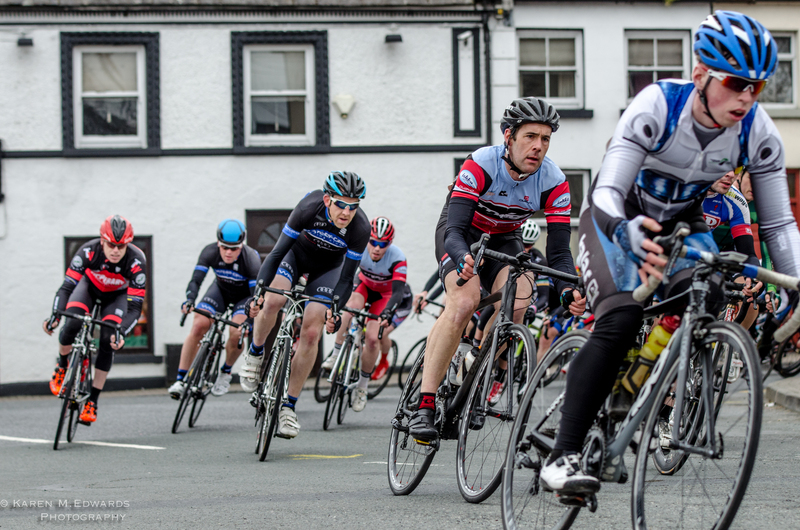 Looking forward to seeing you all for tomorrows Tuesday Summer League Race. 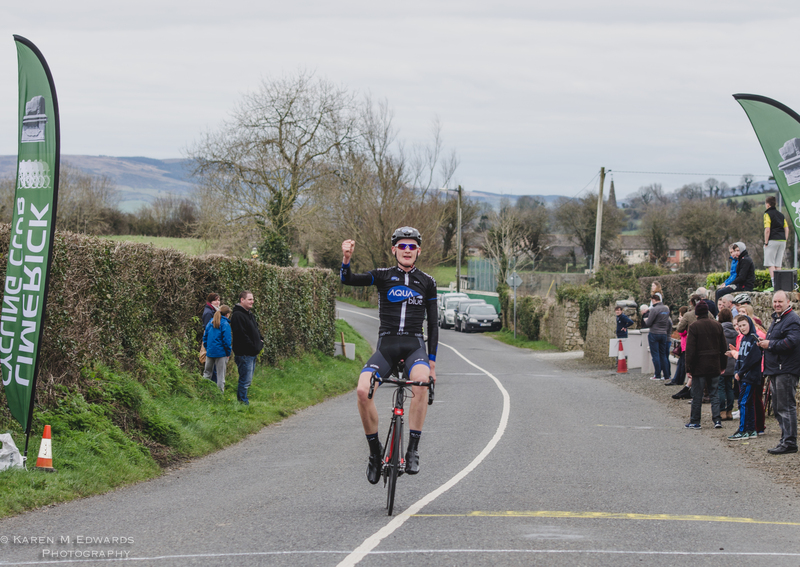 The club had some exceptional performances today with Stephen Shanahan taking Silver in the boys U16 TT, Jonathon Cooke taking 3rd in the TT, Laura Cooke 3rd in the Road race and Stephen taking 2nd again in the afternoon road race resulting from a breakaway in the final lap holding clear. 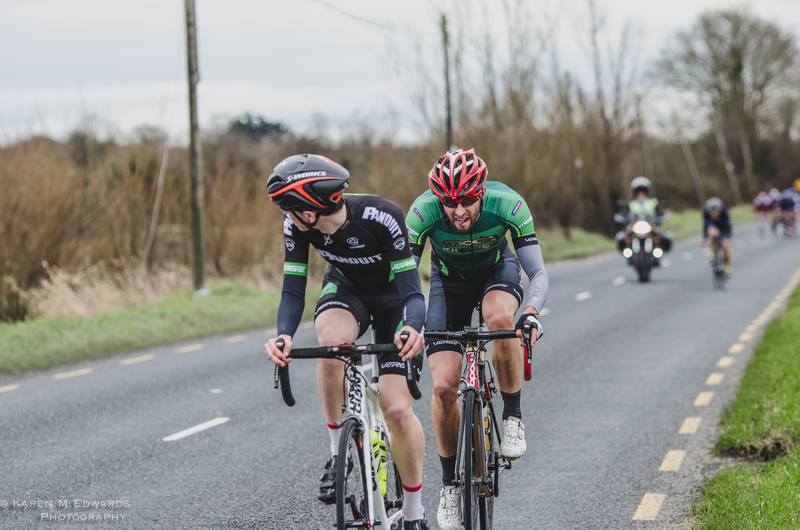 However the entire Limerick club performed exceptionally well, finishing strongly and well up in the rankings of their respective races were, Sean Yelverton, Henry Cooke, Shane O’Hara, Mark O’Callaghan, Laura Cooke, Jonathon Cooke and Evan O’Donnell. 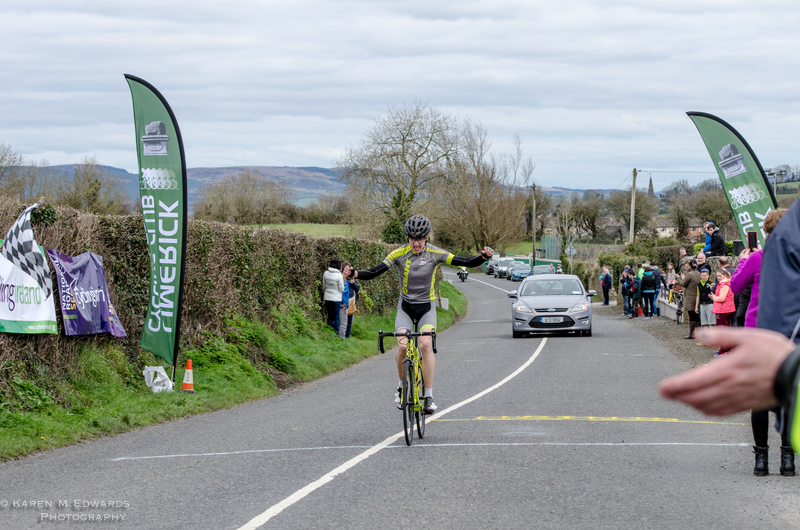 Sunday continued as Saturday started with some outstanding performances again from Limerick with Jonathon Cooke and Evan taking third in U11 and U12 and Shane O’Hara second in U16. 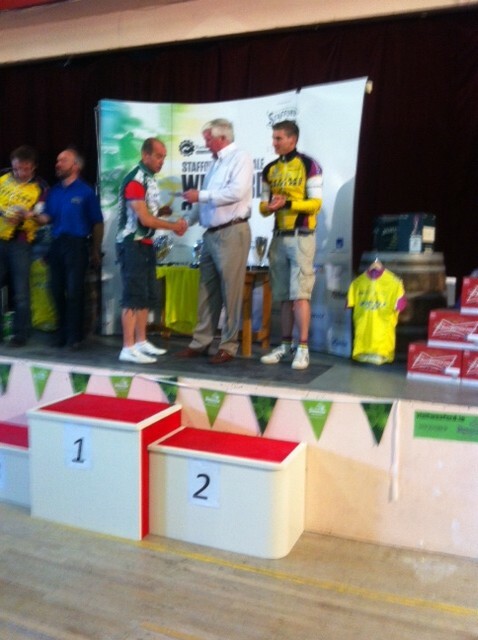 Some very aggressive riding from all age groups and deserving results from Limerick CC all round.